What are the ingredients of a short story? What factors should be included in it? 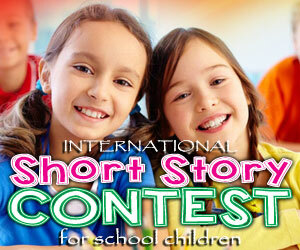 Read on, to learn about the various components of a short story. These points will surely help you to write your own short stories in such a way that readers will find them appealing and memorable. Setting refers to the place and time in which the story happens, or where and when the story happens. Sometimes weather conditions also can be included, such as ‘on a rainy day’ or ‘stormy day’. For example, do you know the story of the monkey and the crocodile? If not, you can read it here. In this story, the setting is a jungle, a river bank and an apple tree. The events in the story is called the plot. Usually, the plot has five elements. Please remember that though this is the most commonly found plot structure, there are other ways also, to write a story. For example, in the story of the monkey and the crocodile, you can see the following plot. The introduction of the story lets you know that the monkey and the crocodile are the characters in this story, and that the setting is in a jungle, on a river bank. Rising action is when the crocodile’s wife expresses a desire to eat the monkey’s heart. The crocodile telling the monkey of his real intention as he carries him across the river, is the climax. Falling action is when the monkey tricks the crocodile, saying that he had left his heart on the tree. The denouement happens when the monkey gets back to his tree, and gives the crocodile a piece of his mind! Conflict refers to the struggle between two forces, which constitutes the problem in the story. In a short story, usually there is only one problem or central struggle. This struggle can be between the main character in the story, and an external force, or it can be a psychological struggle within the main character himself/herself. A story about a man’s fight with a lion is an example of the former category. A person who decides to quit smoking as a result of a cancer diagnosis is an example of the latter. A very common conflict in short stories and even in novels is the struggle between good and evil. In the story of the monkey and the crocodile, the conflict is between the monkey, and the crocodile, an external force that is evil. Usually, in a short story, there is only one main character. This main character is called the ‘protagonist’. Usually, the villain of the story, who opposes the protagonist, is called the ‘antagonist’. In the story, ‘The monkey and the Crocodile’, the monkey is the protagonist, and the crocodile is the antagonist. The term ‘character’ is also used to refer to the characteristics of a person, which means his/her physical appearance, thinking, feelings, values, and behaviours. In very good stories, the characters are life-like (resembling real people), and consistent. Point of view or perspective refers to the angle from which the story is narrated. There can be different points of view/perspectives. First person: In a first person narrative, the story is told by the protagonist, using the pronoun ‘I’. The reader sees events from the main character’s point of view and only knows what he/she knows or feels. Omniscient: Here the author knows it all. He/she narrates the story from all points of view, moving from character to character, and writes about the thoughts and feelings of all who are involved in the story. Third person or Omniscient objective: Here the author tells the story in the third person, using he, she or it. The reader is a spectator who watches the actions and the behaviours of the characters in the story, but does not know what goes on inside their minds. The author does not explain the events in the story; the reader has to interpret them on his own. The story of the monkey and the crocodile is written in the third person or Omniscient objective. We read about what happens, but we don’t know what goes on inside the characters’ minds. In the case of the story of the monkey and the crocodile, can you guess what the theme is? Well, several answers are possible, such as ‘betrayal’ or ‘clever thinking can save your life’. All the best to you in your own story writing.